Remember when HTC said they wouldn't update the HTC Desire to gingerbread becauseÂ theÂ phone wasn't capable (despiteÂ the fact that custom ROM developers have been proving gingerbread Sense ROMS for ages)? Remember the outrage from us users about this? 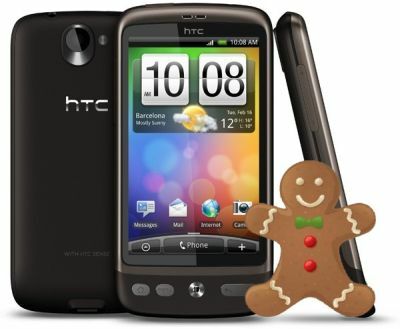 And remember HTC suddenly turning around and saying, yes, we will provide gingerbread, but a hugely cut down version? To download this update, please visitâ€¦ http://developer.htc.com/ Note: This Rom update is for development only and not for general public use.Â Upgrades to non-authorized phones may result in loss of functionality.Â In addition certain functions may no longer be usable after re-flashing the ROM, including but not limited to MMS and SMS and HTC also disclaims liability for any unusable functions.Â HTC disclaims liability for the loss and/or leakage of any personal data resulting from the re-flashing of the ROM. Updated - The following regional variants are not compatible with this upgrade: Germany (Telekom Deutschland), North America, South Korea and Japan.